So, remember when I made that absolutely amazing chocolate-chip banana bread? Think of this as the sequel. 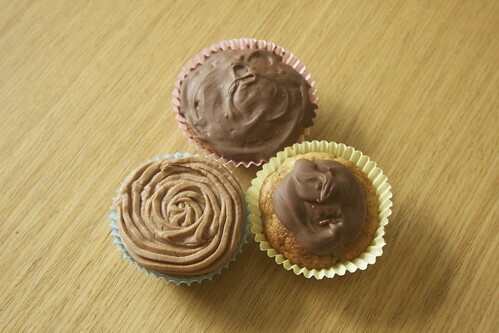 There are three ways to decorate these cupcakes, all of which are shown above. 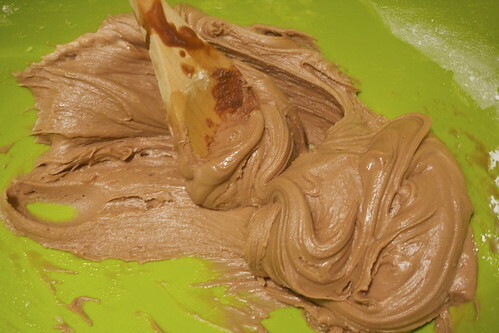 I wanted to use a piped chocolate buttercream, but when I made it it didn’t taste at all like chocolate. So then I smeared chocolate over the whole thing, but it didn’t look right. So I did a little circle on top of the cakes. Really, you can do what you like — or you could maybe even use this chocolate ganache. You have a choice of ways to decorate these. 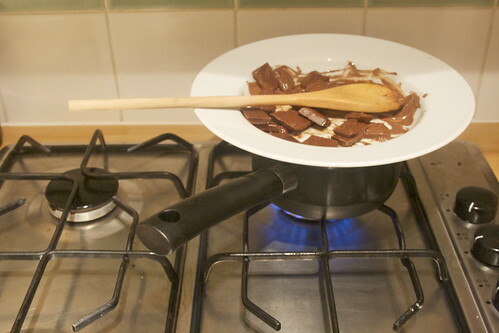 Whatever you choose, take 200g of melted chocolate, put it in a dish over a saucepan of simmering water and melt it gently, taking it off the heat as soon as it’s melted. To decorate with buttercream, just mix with icing sugar and the occasional splash of milk until you get a creamy and pipe-able mixture. Then you can just pipe this on top. Alternately, you can just melt the chocolate and drizzle it on top. Either way, you get one totally delicious cupcake. 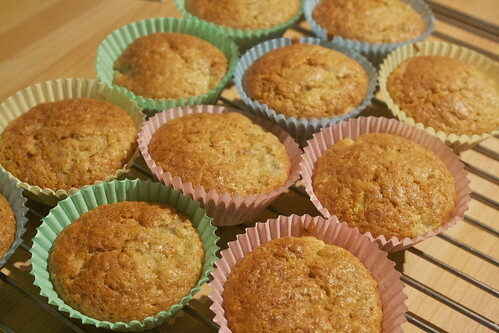 Made these this afternoon and they are fab. 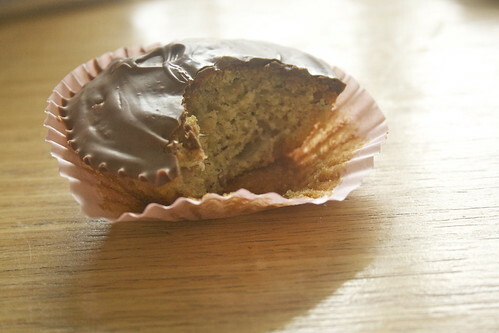 The sponge is lovely and light and fluffy and I just spread the icing on top. Delish!